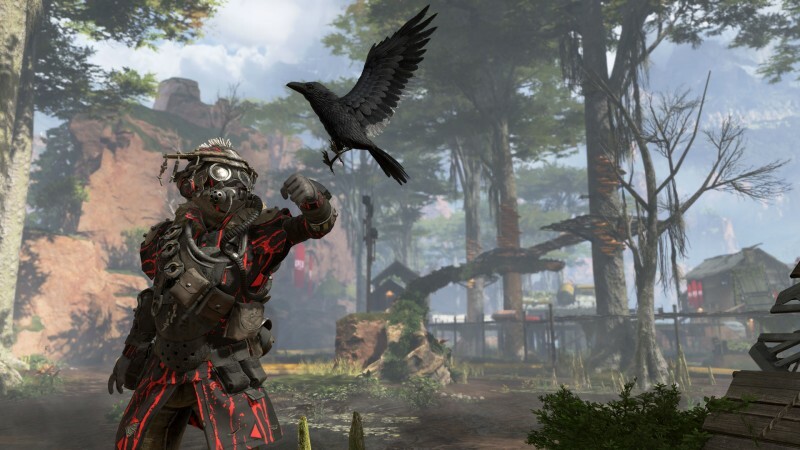 The character Bloodhound, Apex Legends' tracker extraordinaire, does not use gendered pronouns in the character bio on their website, leading fans to speculate that the character does does not identify as either gender. When asked by Rock Paper Shotgun if this means Bloodhound is non-binary, community manager Jay Frachette confirmed that fact. The other confirmation is a lot more obvious with the character Gibraltr, a large man holding up a giant shield. In the character's bio, when talking about Gibraltr's more rebellious path, a line referring to a significant other appears: "He only began to understand the value of protecting others when he and his boyfriend stole his father’s motorcycle, took it on a joyride, and got trapped by a deadly mudslide." It is not unlike Blizzard's recent comic that established Soldier 76 has having a boyfriend in the past, though Respawn's effort establishes the characters as diverse from the jump. As Respawn adds more characters to the game over time, it's interesting to know that diversity is an important consideration in their choices. These characters representing other types of people in the world is good, it harms absolutely no one, but it gives people who never get representation something to latch onto. There's literally no reason for anyone to be upset by this, so I hope everybody can just agree this is overall a good thing.